Supports specific male bodily functions, such as the prostate. The price can be high if you go for the smaller packs, compared to other similar products. Overall, this is a great all-rounder product, which is fantastic for male health. 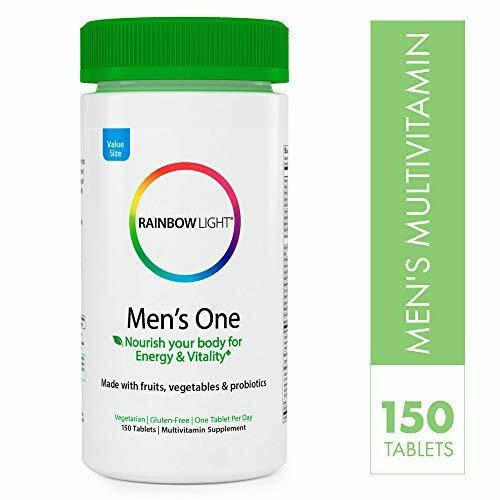 You get many options with this particular product, and if it works for you then you can purchase a bulk pack, as it comes in 10 different pack sizes, ranging from a 30 tablet pack, to a 300 tablet pack, all for a great price too. The ingredients in this multivitamin are designed to offer a whole host of health benefits specific to men, including heart health, the male reproductive system, and also for prostate health. Simply take one tablet per day with water, and that’s it! The tablets also contain no gluten, wheat, milk, peanuts, eggs, soy, fish, or shellfish, so they are pretty good for anyone with a sensitivity, and they are packed with vitamins and minerals which are needed daily. Users should also notice increased energy too, because there is included vegetable juice complex, with kale, spinach, beet, and dandelion, all which promote your get up and go!